TORONTO — Premier Doug Ford visited the Sunnybrook Veterans Centre, where he planted the first of many Canadian flags on the grounds, honouring the resident veterans. "Generations of Canadians volunteered to protect our country and our way of life during some of the darkest chapters in history," said Ford. 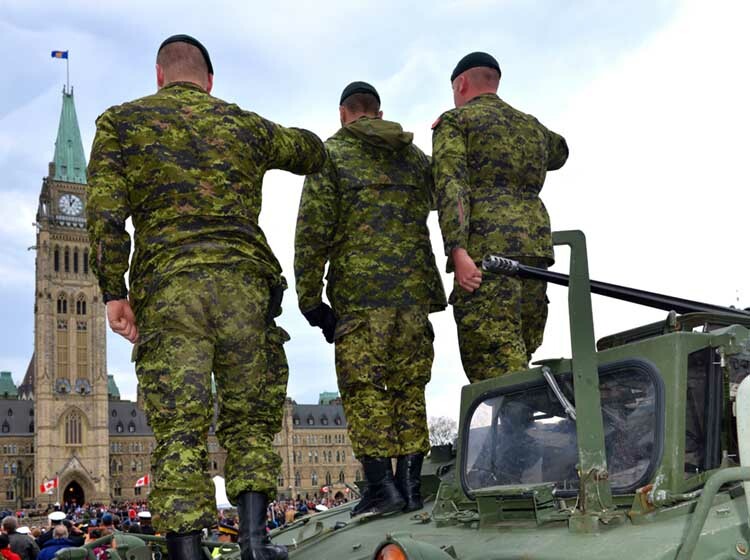 "For keeping our country safe through your valour and sacrifice, we will be forever indebted to you." And soon, tabling legislation to ease the burden on Ontario's Royal Canadian Legion halls by ensuring they pay no property tax, benefiting more than 270 Legion halls across Ontario. "We're doing what we can to show our gratitude and respect to the heroes who still walk among us today," said Ford.